1.PowerPC G4/G5 Mac or Intel-based(32-bit or 64-bit) Mac. 2.At least 512M physical RAM. iSkysoft DVD-Library lets you catalog, manage and backup your DVDs on Mac in a visual library. Just enter part of the title or UPC of the DVD (including Blu-ray DVDs), DVD-Library will automatically retrieve the DVD's cover and all relevant info from Amazon, quick and easy. DVD-Library for Mac also allows you to backup DVDs to .dvdmedia files on Mac with one click. Your DVD movie is now at your fingertips and you can enjoy them anytime you want. 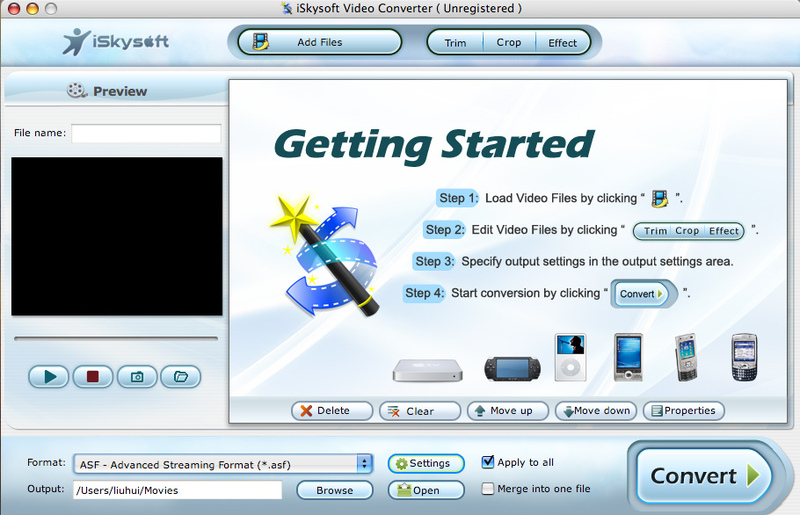 With iSkysoft DVD Ripper for Mac installed, you can directly convert DVD backups for iPod, iPhone, Apple TV, PSP, mobile phone and more. Have a complete inventory of your DVDs (including Blu-ray DVDs) on your Mac in a well organized way. Keep track of borrowed DVDs, this smart app will remember when and to whom your DVDs are lent out. Find DVDs you've seen, not seen, lent out, purchased, and wish to buy with Filter. To avoid duplicate purchase, you can check it in your library first. To save you time and effort, DVD-Library allows you to browse your DVDs by title, artist, directors and genres. Qweas is providing links to iSkysoft DVD-Library for Mac 2.0.1 as a courtesy, and makes no representations regarding iSkysoft DVD-Library for Mac or any other applications or any information related thereto. Any questions, complaints or claims regarding this application iSkysoft DVD-Library for Mac 2.0.1 must be directed to the appropriate software vendor. You may click the publisher link of iSkysoft DVD-Library for Mac on the top of this page to get more details about the vendor.